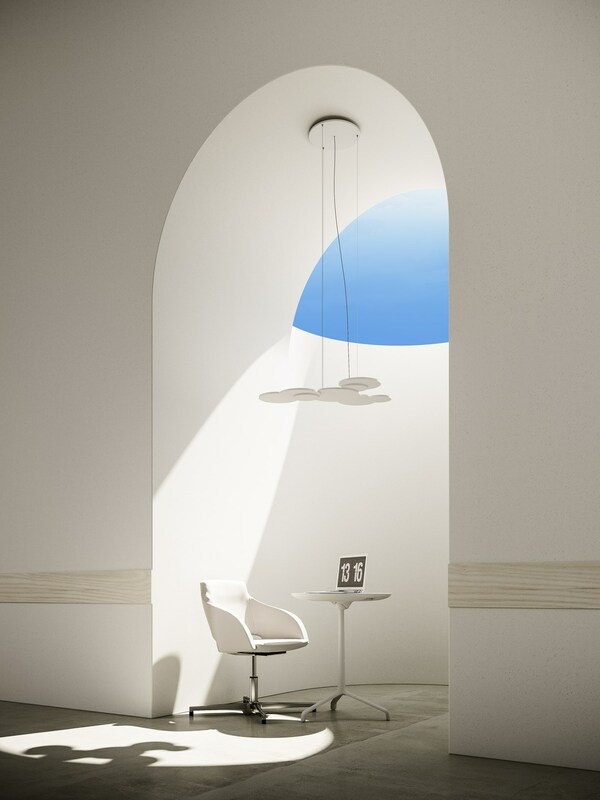 Among the innovations that Rotaliana will present at Euroluce there will be Eden and Overlap, two very different lamps for the expressive language but united by two common elements: aesthetics and functionality. 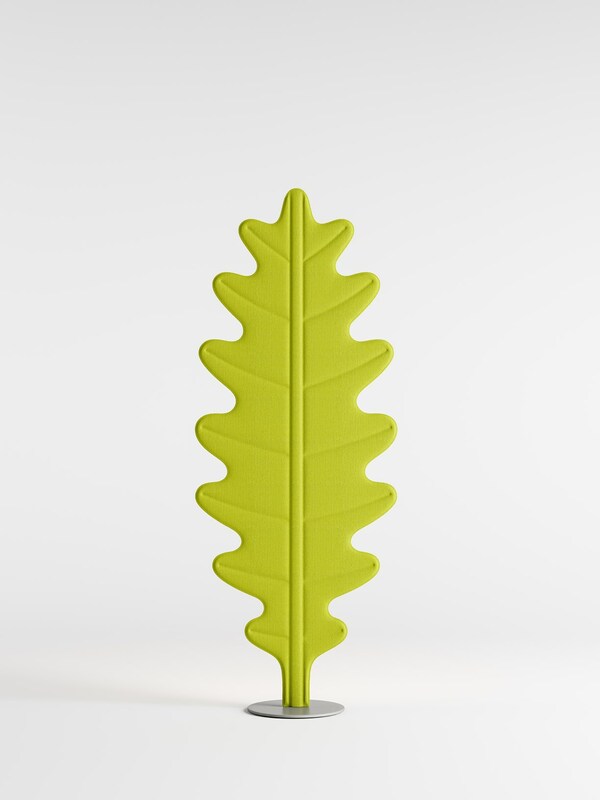 Eden is a family of floor lamps. 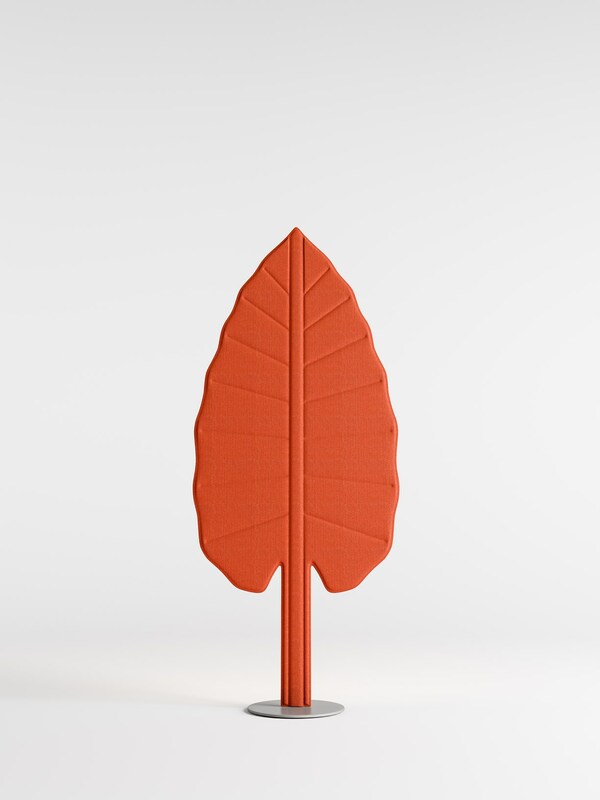 Large soft soundproof leaves, to which a Led lamp is attached magnetically. An imaginative vegetation, like the one found in the paintings of Rousseau Le Douanier: “musa paradisiaca”, the tree of paradise, Adam’s fig, that is what the banana tree was called in the olden days; the oak tree, sacred to Zeus; the alocasia, similar to an elephant’s ear. 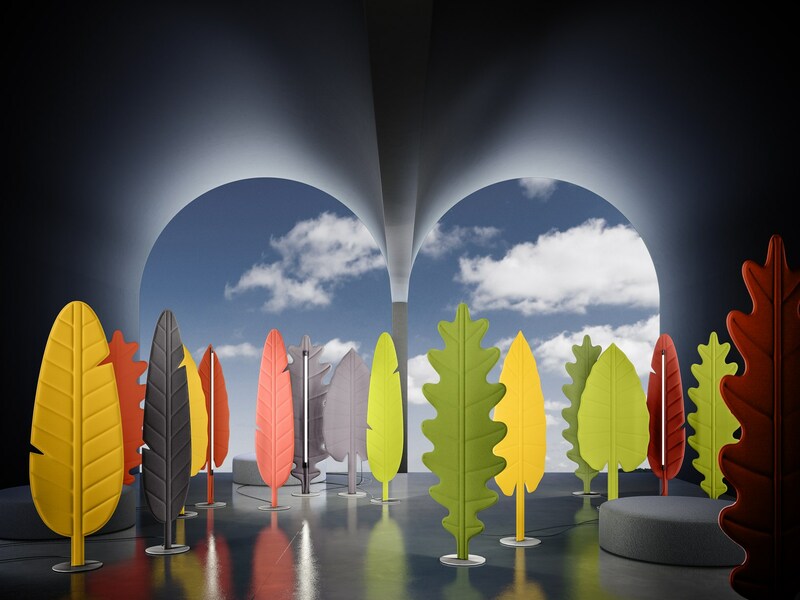 A small domestic garden of Eden, a space of beauty and well–being created by the shielded light and by the acoustic qualities of the leaves. 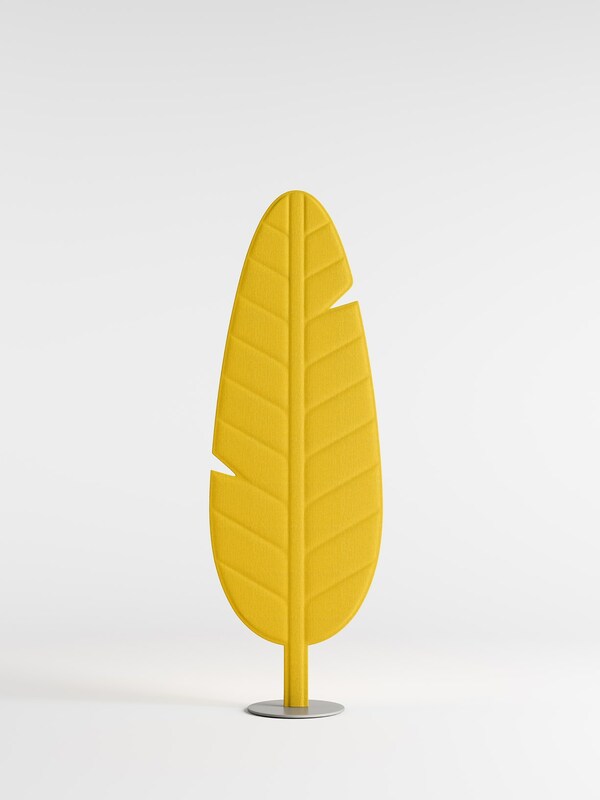 Thanks to its soft padding and distinctive upholstery fabric, Eden adds sound–absorbing properties to its lighting and furnishing functions, improving acoustic comfort and producing the same pleasant feeling of being in a forest that filters sounds through leaves. 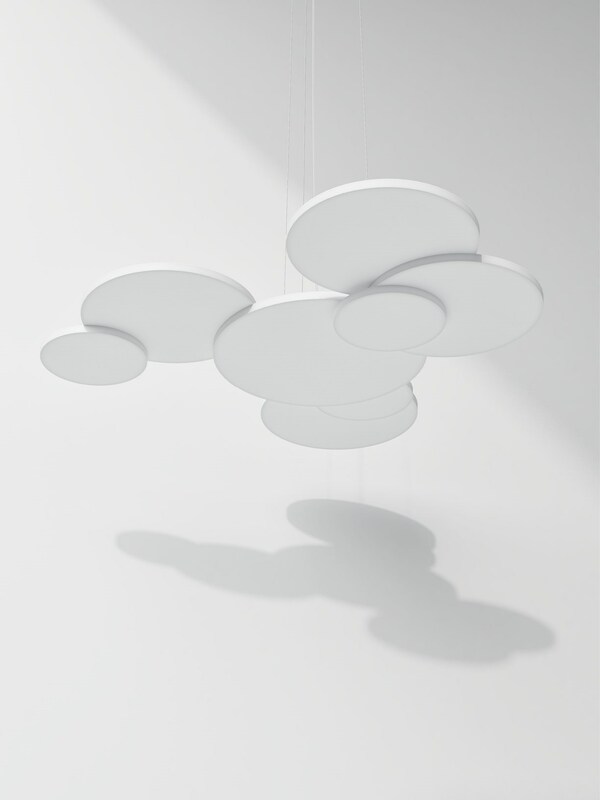 Overlap is instead a suspension lamp with variable geometry entirely made of aluminum and medium–density light panels. 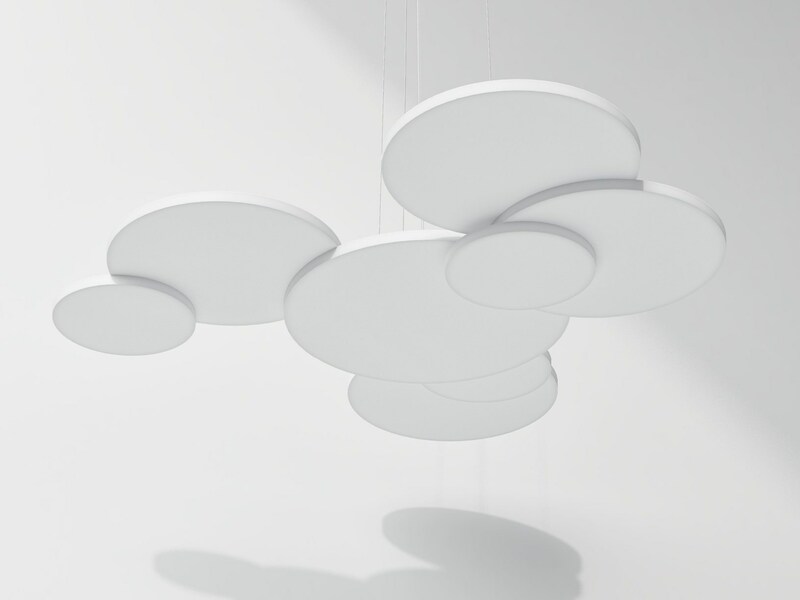 The central disk supports Led sources and external disks, which are arranged on different levels, producing an unobtrusive yet dramatic geometry.